This NHMU Craft Workshop, presented by Craft Lake City, will be taught by artisan Marti Woolford of marti makes. 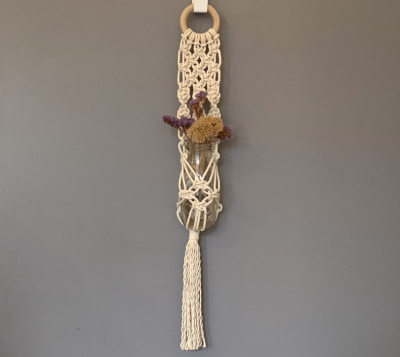 Woolford will introduce attendees to macramé, the art of making decorative and functional objects from knotted cord. Participants will learn about the history of the craft, practice techniques for tying knots, and evaluate patterns used in macramé textiles. Woolford will then teach attendees to apply their new knowledge and skills to make intricate, hand-knotted plant hangers to take home.